Now more than ever, restaurateurs should utilize every opportunity to leverage a positive workplace culture to strengthen the Canadian foodservice industry. Restaurants Canada and Centennial College have spent more than a year in partnership to develop a guide to help foodservice employers foster a better and more respectful work environment. The guide, entitled “How to Create a Positive and Inclusive Workplace”, will help operators recognize opportunities within their organizations to make positive change, with practical tips and best-in-class examples from some of the industry’s leaders. Available to the 30,000 members of Restaurants Canada, the guide is a tool in the creation of workplace practices and culture to support diverse employee groups. Studies show inclusivity is linked to lower staff turnover and higher sales. These are the ingredients restaurateurs need to ensure their businesses survive and thrive. 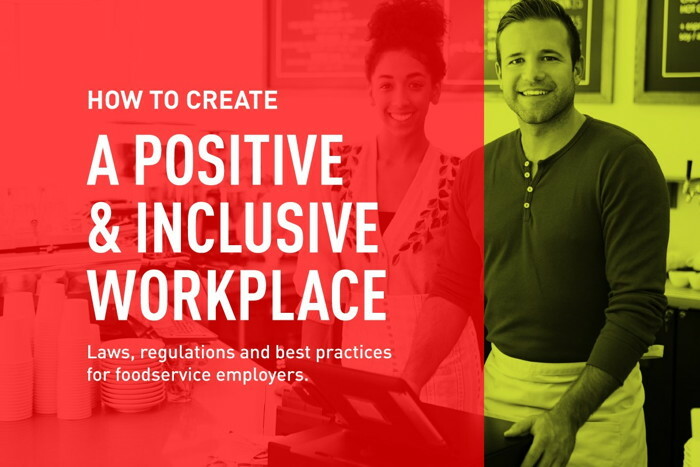 Find out more at https://www.restaurantscanada.org/positive-inclusive-workplace/. The guide was collaboratively developed between Centennial College’s Centre for Global Citizenship, Education and Inclusion and the School of Hospitality, Tourism and Culinary Arts, in partnership with Restaurants Canada.